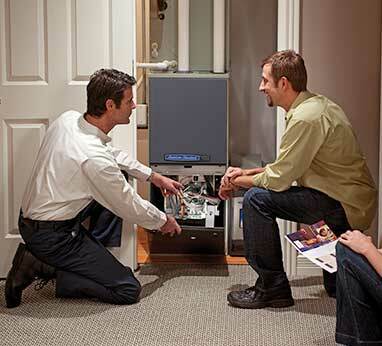 When your furnace starts making unusual noises, it’s a definite indicator of a problem that needs solving. Let’s see if we can decode the noises first. Is it a Banging or Thud Noise? If the noises you hear are a banging of thud sound when your furnace turns on, there are a few possibilities. 1. Dirty furnace burners - Dirty burners may cause a delay in the burners igniting. This delay will cause gas to build up which causes the loud bang when it finally ignites. If you think you may have a delayed ignition problem you should have this checked by a heating specialist as soon as possible. 2. Ignition malfunction (roll-out) - This is a small explosion when the furnace starts up, or a burst of flame bigger than it needs to be. To see if banging is caused by a gas ignition problem, watch the furnace start up. Listen to pinpoint where the noise is coming from. Once you determine where the noise is coming from you can explain to the HVAC professional what you have noticed to help him with the diagnostic. We do not recommend any individual try to make repairs to their existing furnace without the proper training. Is it a Screeching, Scraping, or Chirping Noise? Typically these sounds indicate an issue with the blower assembly. These items would be the blower motor or blower wheel. The blower wheel may be loose from the shaft, broken, or the motor mount may have broken. These items can cause the blower assembly to drop and start rubbing against the blower housing or furnace casing. While these noises may not be as dangerous as they sound, you definitely want to have the problem resolved as soon as possible. Performing preventative maintenance is a good way to stay aware of what is going on, and perhaps stop problems before they start. Is it a Whistling or Whooshing Noise? If your furnace has a whistling or whooshing noise; did this just start, or has it always whistled? 1. Dirty Filter - Check your filter. It may be clogged causing the system to work harder and sucking air from anywhere it can. Pull the filter out and see if this stops the whistling noise. If so, replace with a new filter. 2. Leaks in the Ductwork – See if you can determine where exactly the whistling noise is coming from. If you can locate the area tape up the gaps with foil tape or duct tape. You can also use clear hi-temperature silicone or duct sealant (mastic) to seal them off. 3. Ductwork not sized Properly - If you remove the doors from the furnace and the whistling stops, it may be because opening the unit relieved the suction that was being created. If you can’t find any another cause for the noise, it could be a sign that your ducts are improperly sized; your furnace needs a greater flow of air. This can only be completed by either increasing the size of your existing ductwork or adding new ductwork. 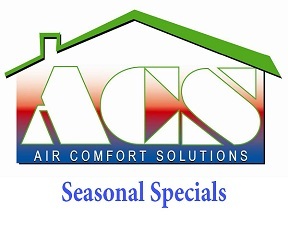 Air Comfort Solutions is the name to trust for all your heating & air conditioning repair services. Our service technicians have the knowledge & experience to quickly diagnose and repair all HVAC system failures and malfunctions in your system. 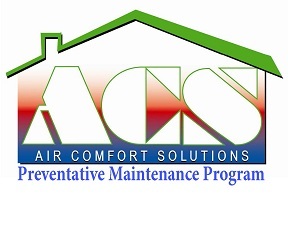 Don't subject yourself to potential dangers by attempting to perform your own heating or air conditioning repairs..
Air Comfort Solutions offers same day heating, cooling and HVAC services to get you back in your comfort zone. If you need emergency air conditioning or heating installation, repair or service for your heating or cooling system, count on us for prompt, affordable and honest service.